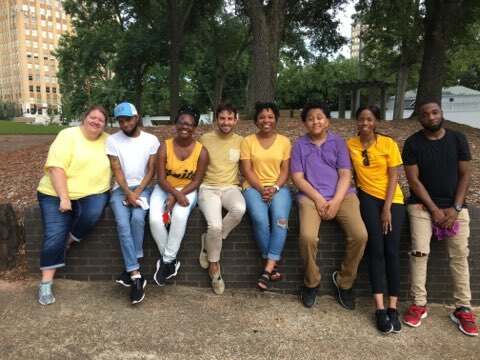 This year’s Public Allies MS 2017-2018 cohort coordinated a team service project, which entailed a day of service and fellowship to those lacking secure and stable housing in the Downtown Jackson area. 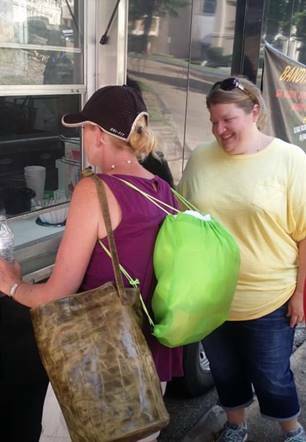 The Allies provided Dinner at the Park via Bandit’s Place Mobile & Catering, along with music, tons of fun, and games. Recognizing that members of the homeless community often lack basic essentials that enhance health and quality of life, Public Allies provided over 100 hygiene kits, which consisted of personal drawstring back packs filled with necessities such as toothpaste, toothbrushes, hair combs, hair brushes, sanitizing wipes, soap, deodorant, and toiletries. Quincy Carpenter, a guest to the event, said the event, with music and food, was a good time. “It picks your spirits up,” he said. 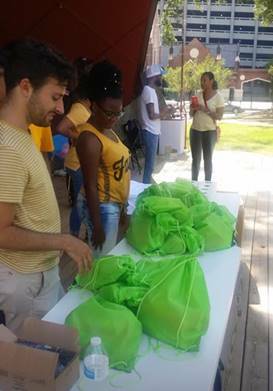 Public Allies serviced both Smith Park and Poindexter Park, extending outreach to approximately 125 men, women, and children in the local Jackson community.